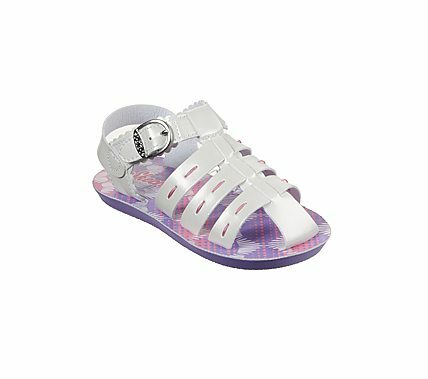 Build up her fun warm weather looks with the SKECHERS Buttercups - Gladdy Girl sandal. Smooth matte or metallic synthetic faux leather upper in a dressy casual strappy sandal with stitching accents. Flexible cushioned midsole.